How does KYBELLA® work and what happens during the treatment? The active ingredient in KYBELLA® is deoxycholic acid, a naturally-occurring molecule in the body that aids in the breakdown and absorption of fat. Dr. Khan will apply some numbing cream and ice prior to injection. The Dr. Taj Khan uses the smallest of needles to carefully and gently inject the solution into the superficial skin of the under chin area. When injected into the fat beneath your chin, KYBELLA® causes lysis and natural absorption of fat cells. Within a few minutes you are done and are given an ice pack to use on the area periodically for the first 24-48 hours. You can resume all your regular activities immediately. 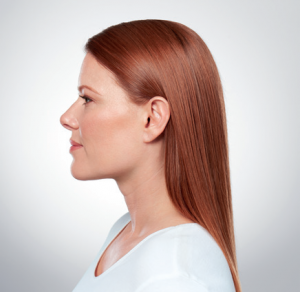 KYBELLA® has been used on more than 1,600 patients worldwide. 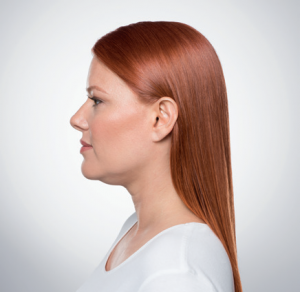 The safety profile of KYBELLA® is well characterized. The most common side effects are temporary swelling, bruising, and some mild discomfort. Temporary numbness and temporary areas of hardness can rarely occur and resolved in a short period of time. Dr. Khan will customize your KYBELLA® treatment regimen, including how many treatments you will need. Many patients experience visible results in 2 to 4 treatment sessions. During these sessions, Dr. Taj Khan will administer KYBELLA® into the fat under your chin using multiple, painless injections. Up to 6 treatment sessions may be administered spaced about 6 weeks apart. When injected into the fat under your chin, KYBELLA® causes the destruction of fat cells. Once destroyed, those cells cannot store or accumulate fat. After the aesthetic response is achieved, retreatment with KYBELLA® is usually never required. If you’re bothered by submental fullness, or double chin, you may be an excellent candidate for KYBELLA®. It is safe, well-tolerated, non-surgical, minimally invasive, and offers great results. 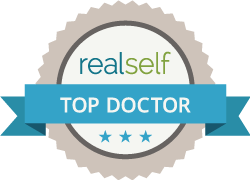 Please arrange for a private consultation with Dr. Khan by calling 201-313-8899.